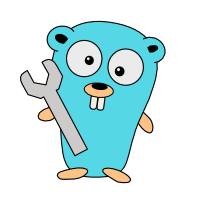 Or: How adding goroutines can keep your CPU busy shuffling things around. Just recently, Amazon announced support for Go on AWS Lambda. Here is a summary of last week’s news around this topic. Pure data is for computers and nerds like you and me. Anyone else likes nicely formatted reports. Go and a good PDF package can help. Your managers, all through the hierarchy, love circulating spreadsheets via email. (They simply don’t know better.) How to extract and analyze the relevant data from the daily mess? Go can help. If your code creates some stats to monitor, Grafana and the Grada package may come in handy. Go’s slices are cleverly designed. They provide the look-and-feel of truly dynamic arrays while being optimized for performance. However, not being aware of the slice mechanisms can bring you into trouble. Most Go binaries come without any man page. The tool goman fills this gap. If the corresponding project includes a decent README file (and most projects do), goman find this README file and displays it on the terminal. The Digispark is perhaps as small as a microcontroller board for DIY electronics can get. This is a short writedown about my first experiences with controlling this board through Go code, using Gobot and LittleWire. You worked hard to save a few CPU cycles in the central loop, but your code is still slow? Time to think about the time complexity of your algorithm.